Hi everyone! Today I'm going to show you something I recently won in a giveaway. TamTam's Cuticle Oil! 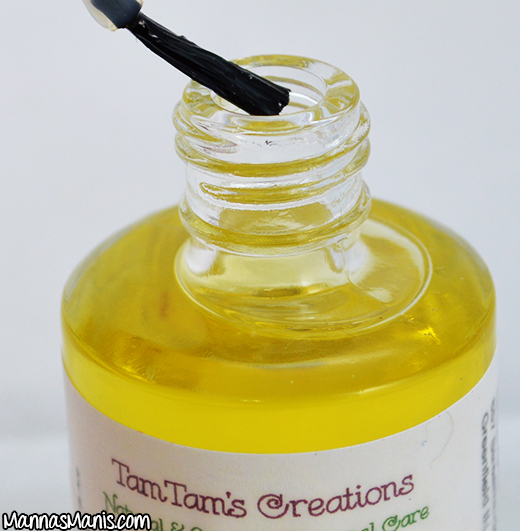 Super Secret Nail Blog recently held a giveaway for TamTam's cuticle oil and I was the lucky winner! 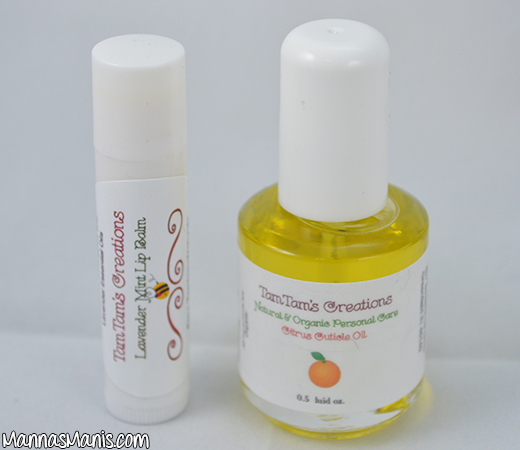 TamTam's etsy shop specializes in "skin care without all the added junk." She has body whips, lotions, beard oil, lip balm, sugar scrubs, and cuticle oil. 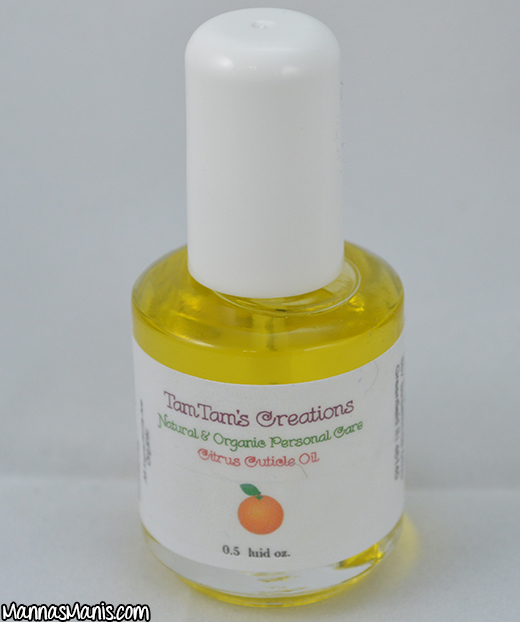 From TamTam's etsy: "This cuticle oil is only made with organic oils and young living essential oils. A little dab on the brush goes a long way. It is made with a jojoba oil base, and almond oil, vitamin E oil, lavender, peppermint, lemon, and citrus fresh essential oils." The scents available are lavender peppermint and the one I asked for..citrus! This cuticle oil has become my favorite nail care product! The smell is subtle and not overpowering. I use this when I'm giving my nails some love and I also use it when I'm having a swatchathon. I lather it on before I take nail polish off so the acetone doesn't kill my cuticles. The ONLY negative is the brush. It does go stiff, but just give it a roll in between your fingers if the stiffness is bothersome. 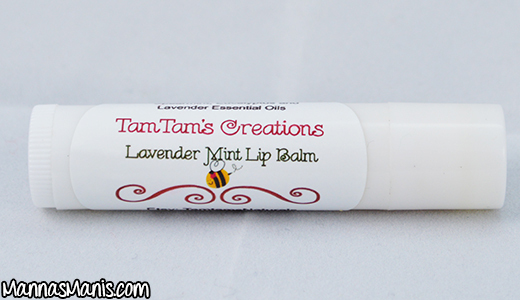 Tamra was kind enough and threw in some of her lavender mint lip balm free of charge. I've been using it every single day before bedtime and I'm in love! I highly recommend TamTam's if you're looking for some new cuticle oil. They are $9 on her etsy (link below) and the lip balm is $2.25. What is your go to cuticle oil?